I could spend (and probably have) hours browsing around looking at all the prints - this one and this one and this one were top contenders, but the tulip print above won me over :) Minted offered to send it to me, and they have very kindly offered one of you a $100 credit! 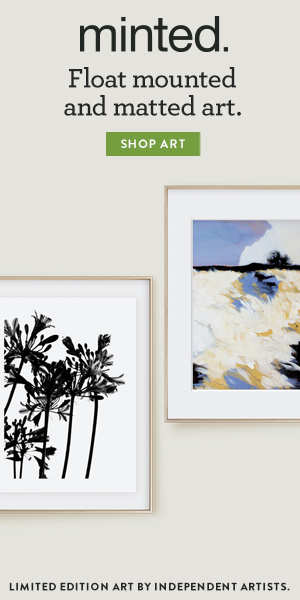 Any events coming up or bare walls that need filled - you should definitely check out Minted! You can enter via the Rafflecopter widget below. It's open internationally from today until midnight on June 27! (If you choose to tweet about the giveaway, just include @minted & @bhdouglas - you don't have to use the exact words) If you have any problems with it showing up, please let me know! Minted gave me a credit for the print, and is providing the prize for this giveaway.